If you’re a dog lover, you’re probably familiar with the canine smile. It’s that big, cheesin’ grin us pups like to give when we’re happy, relaxed and having a good time. Other happy characteristics are often relaxed eyes and a rolling tongue hanging out the side of our goofy grin – all meaning we’re pretty excited about what we’re up to! 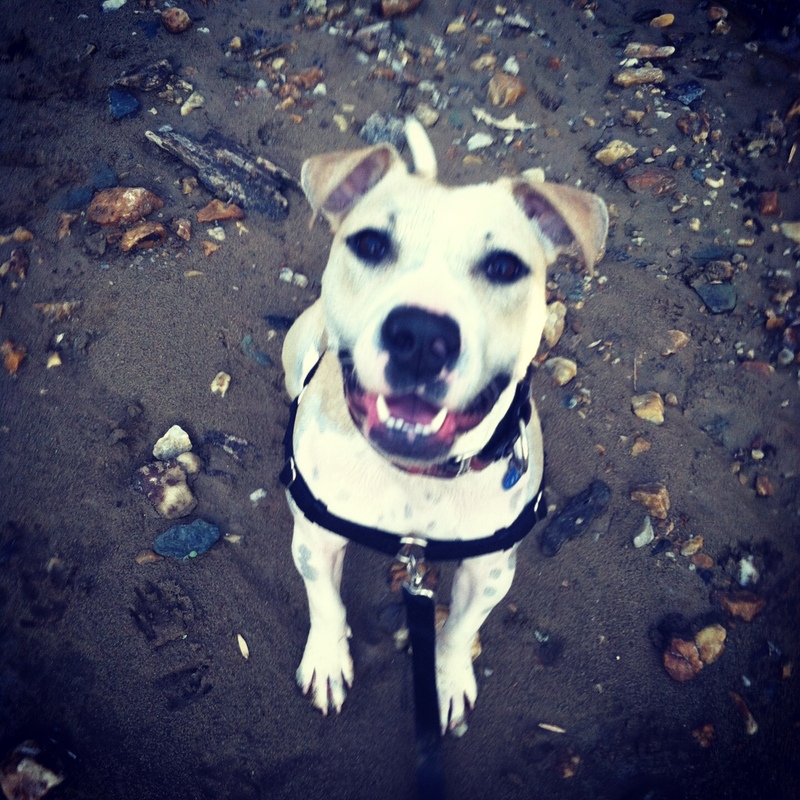 Now, don’t confuse this face with stressed panting and looking/feeling tense – that’s completely different. Isn’t it great how subtle we are with our body language signs? You can read more about the canine language and what we’re trying to tell you in this article from Whole Dog Journal. Anyway, back to why I’m taking over the blog today. I want to announce that I have officially shown my smile to the world! For about two months, because it was pretty cool out and I didn’t have a reason to get SUPER excited, my smile was hidden. I wasn’t stressed or anything, I was just good at being calm, cool and collected. You can see examples of that in some of my glamour shoots. I’m still good at being miss Calm-Cool-Collected, I’m just letting loose a little more now! I am loving this warmer weather and am finding it to be the perfect reason to smile. I also just love life! Cheer up, buttercup – because you never know who’s falling in love with your smile! 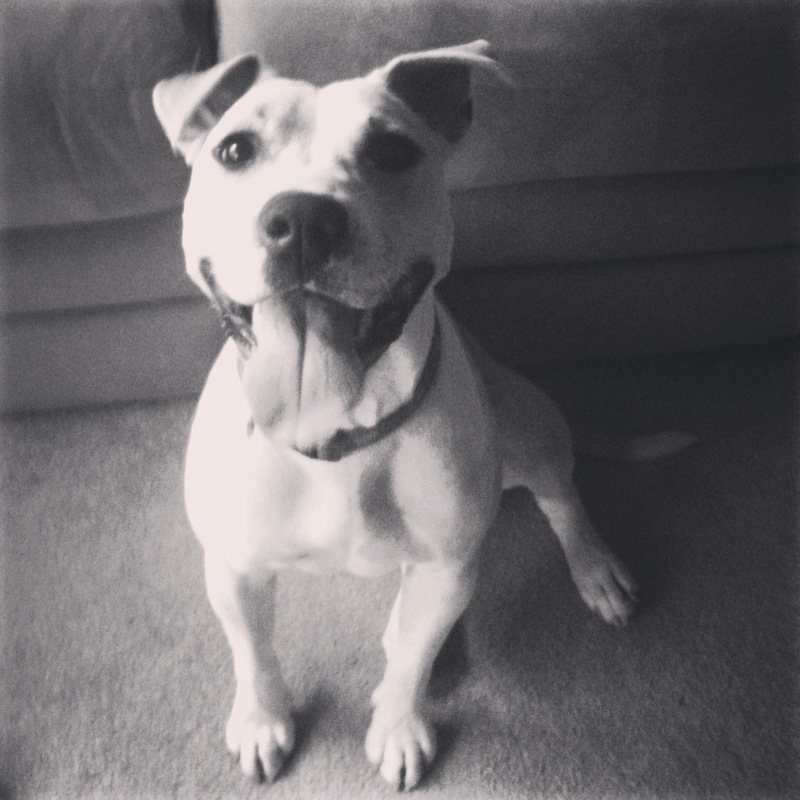 To adopt Johnnie Cash and her beautiful smile, check out her Adopt Me page. 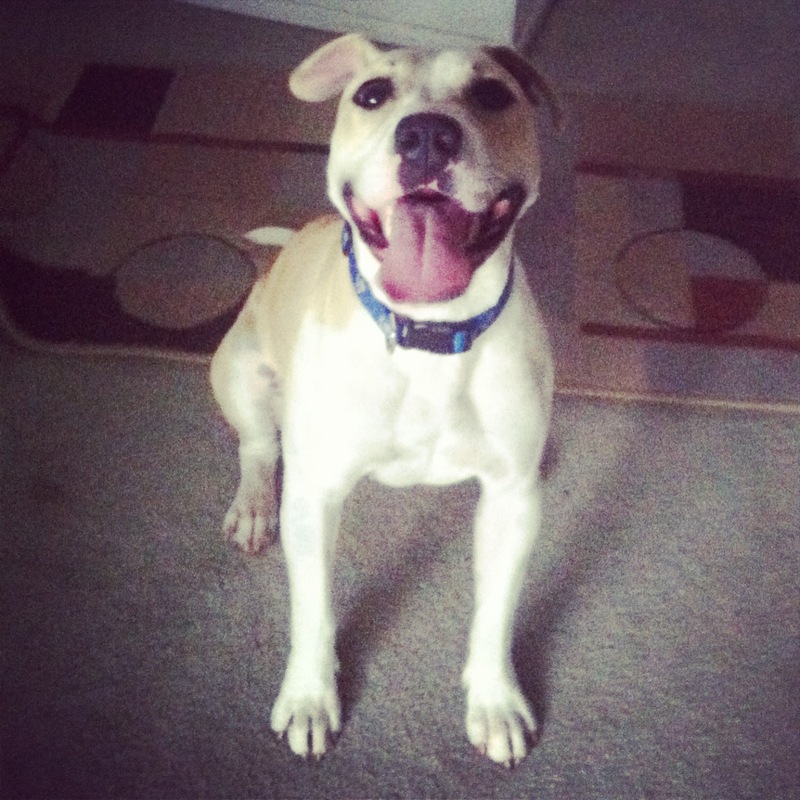 This entry was posted in Dog talk, Johnnie Cash and tagged adorable pit bull, bright smile, dog smile, dog smiling, foster dog, happy adoptable dog, happy pit bull, happy rescue dog, pit bull smile, sunshine. Bookmark the permalink. A smile well worth sharing! BEST PICTURES EVER!!!!!!! Thanks for making me smile, too!